Organo is on a mission, spreading the knowledge of Ganoderma to the world. By using the cost effective network distribution system to deliver these Ganoderma products and beauty products, more of every dollar is shared with our growing Organo family world-wide. Think about your future. Where will you and your family be in 5 years from right now? You may know where you want to be, but do you know how you are going to get there? Do you have a plan? Now more than ever it’s up to you to define your future. That’s where Organo comes into the picture. 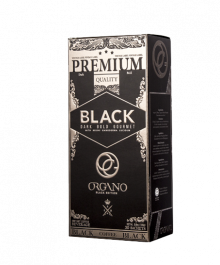 Organo is a global family founded in 2008 with headquarters in Vancouver, British Columbia, and formerly known as Organo Gold, ORGANO™ offers a wide range of convenient, easy to use products including weight management, personal care and beverages. ORGANO™ provides superior quality, taste, and nutrition in all of its consumable products and produces and markets beauty products uniquely formulated combining by vegetable essential oils, herbal ingredients, and botanical extracts. The company currently operates in five continents. Organo™ Black Coffee is sure to attract and awaken your senses. Its dark smooth taste and deep aroma infused with organic Ganoderma introduces coffee lovers to a new and delicious alternative. With OG's Black Coffee, instantly enjoy the taste of freshly brewed coffee. A classic gourmet coffee for traditional black coffee lovers. Portable and convenient to carry, for on the go instant coffee benefits.